Research has shown that the combination of soft tissue discomfort, tenderness, muscle tightness, insufficient sleep, and mood changes may be due to limited circulation into muscle cells, resulting in low levels of oxygen in the tissues. These muscle cells also appear to have dramatically reduced numbers of mitochondria and nuclei, which directly affects adenosine triphosphate (ATP) production. 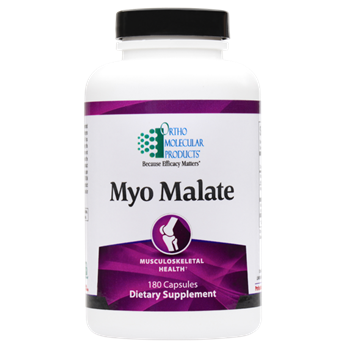 Myo Malate is formulated to support individuals experiencing occasional fatigue, discomfort and tenderness in the joints, muscles and other soft tissues, a phenomenon commonly thought to be caused by low oxygenation.